Intel may be about to switch sides in the graphics world to hook up with AMD as part of a new licensing agreement. The chipmaker currently has a five-year deal with AMD's archrival Nvidia that comes to a close at the end of 2017. Worth $1.5 billion (around £1 billion or AU$2 billion), it has never seen any of Nvidia's tech make it into Intel's integrated solutions. 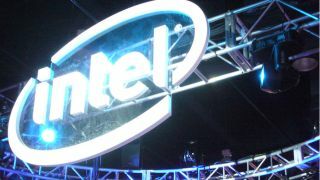 Whispers from the rumour mill indicate that Intel is currently involved in talks with AMD, attempting to forge a new deal. According to a private Bloomberg report obtained by Barron's, signing on the dotted line would be a huge boon for AMD. The company could see a considerable – and much needed – pile of cash pouring into its coffers. So if this comes off, does that mean we could see an Intel chip with integrated AMD graphics? That is a possibility, but of course Intel's own integrated solutions (Iris) are far from shabby these days. Or, rather less excitingly, the agreement could just be about acquiring defensive patent ammunition, which could be very necessary once Intel's deal with Nvidia expires, if the latter decides to go to war with litigation again. AMD is certainly pushing forward hard and innovating in the graphics arena of late, what with the release of XConnect tech recently, which makes it easy to hook up an external GPU to your Windows 10 laptop (via Thunderbolt 3 – interestingly enough, this system was co-developed with Intel as well as Razer). And in terms of VR gaming, AMD has unveiled the Sulon Q, a wireless virtual reality headset with integrated computer, plus the company is sending its dual-GPU Radeon Pro Duo video cards out to developers at universities in an effort to spark the creation of VR content across the globe.